Handwoven from smooth sisal fibers wrapped around native grasses and reeds, these colorful baskets are popular wall decor. Rural weavers in Rwanda of all tribes, including Hutus and Tutsis, work side by side to produce these uniquely woven baskets. The baskets are a message of reconciliation, peace, and hope for the future. 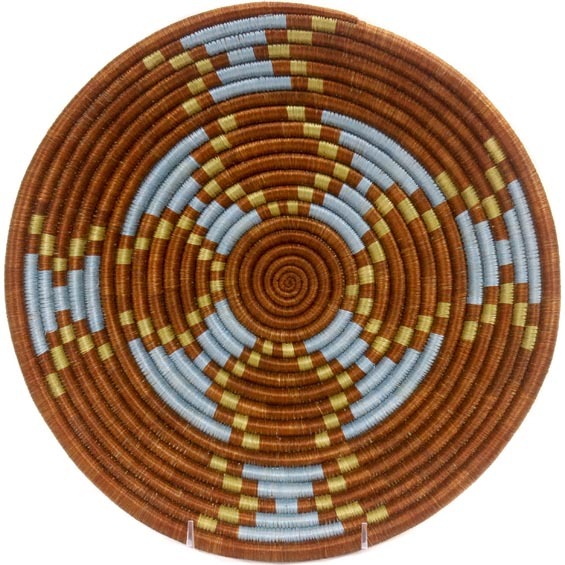 Baskets are such a powerful symbol of Rwanda's fresh start that an Agaseke Peace Basket is included at the center of the country's coat of arms, and is also featured on Rwanda's 5,000 Franc banknote. Each basket has a loop on the back, making it easy to hang on a wall.